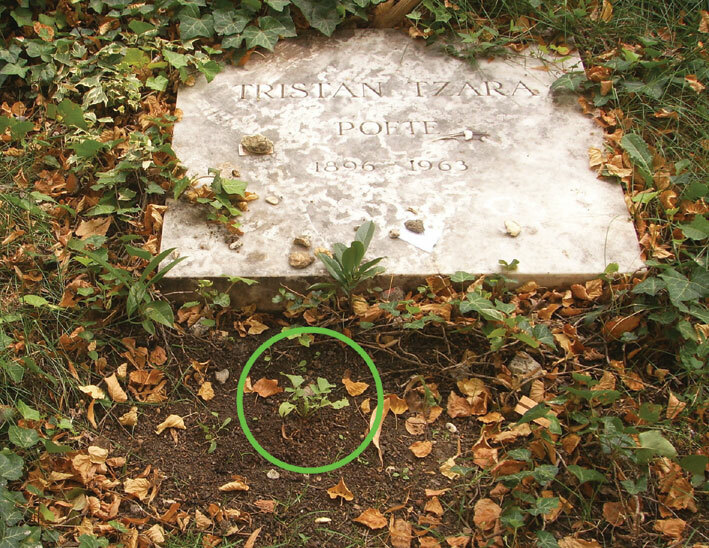 We sow a radish on the grave of the DADA poet Tristan Tzara (French: radis) and tend the plant daily. 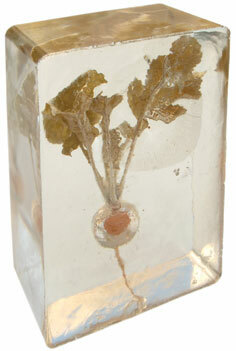 After 42 days, following a short speech, we harvest the perfect "Tzaradis" and conserve it on site in casting resin. 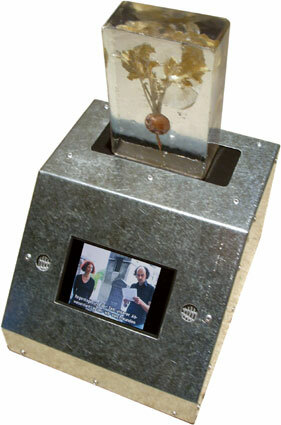 The title of the work - le Tzaradis - is a triple allusion: to the nom de plume of the poet, to the name of the plant and to the word paradise (German: Paradies).